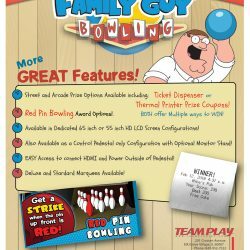 America’s Favorite Family is Right Up Your Alley! Features 8 playable characters from the show. 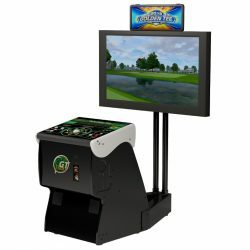 Play up to 4 players at a time, and host local tournaments with up to 8 players. 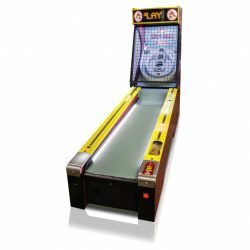 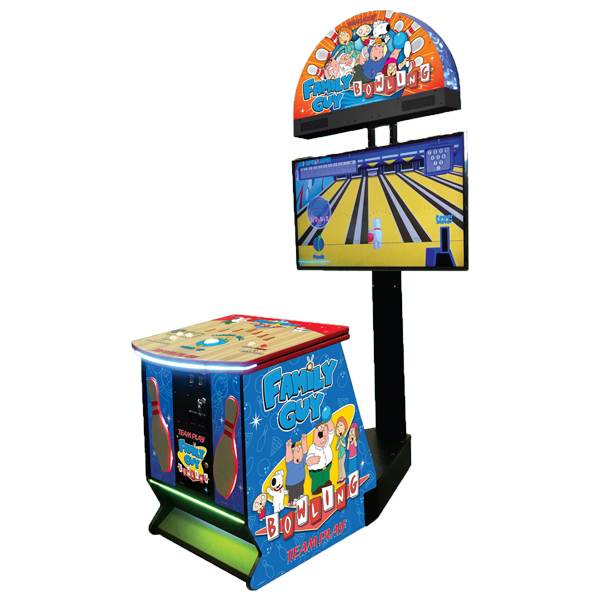 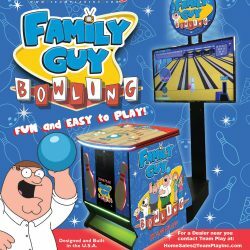 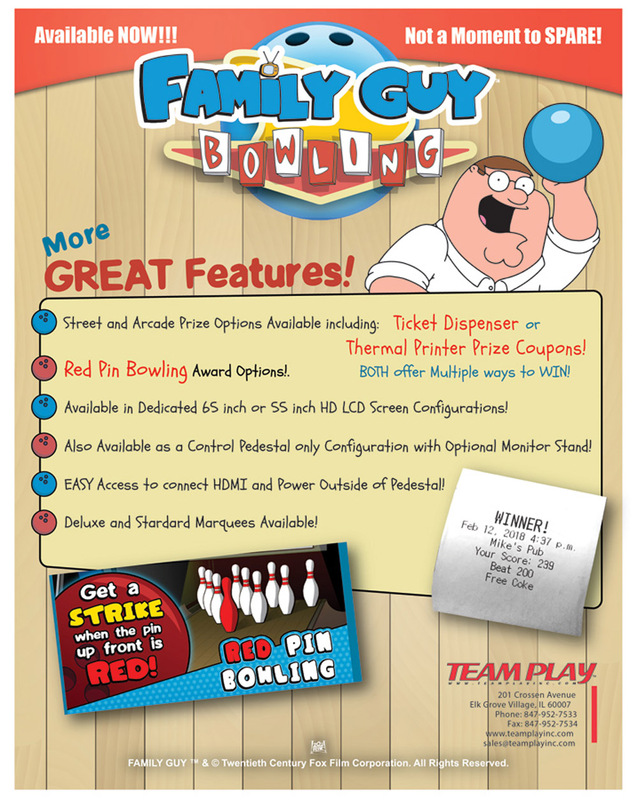 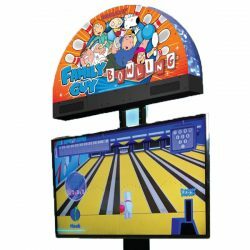 Everyone’s favorite TV family goes bowling in the latest hit arcade game from Team Play Inc. Family Guy Bowling has the most options we have ever offered to make it versatile for any type of location. 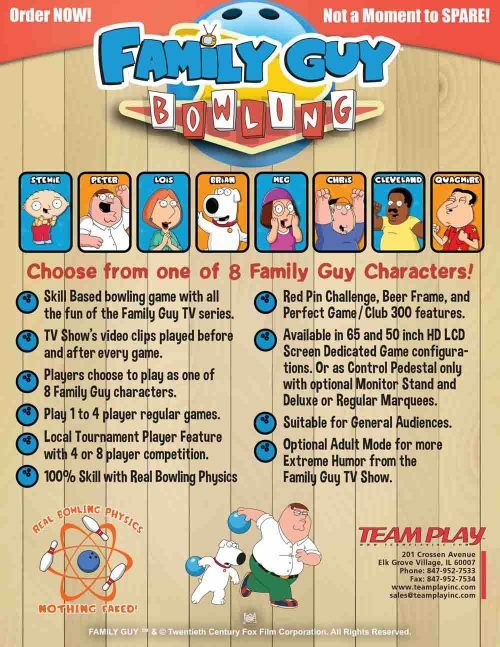 Choose your bowler from 8 playable Family Guy characters. 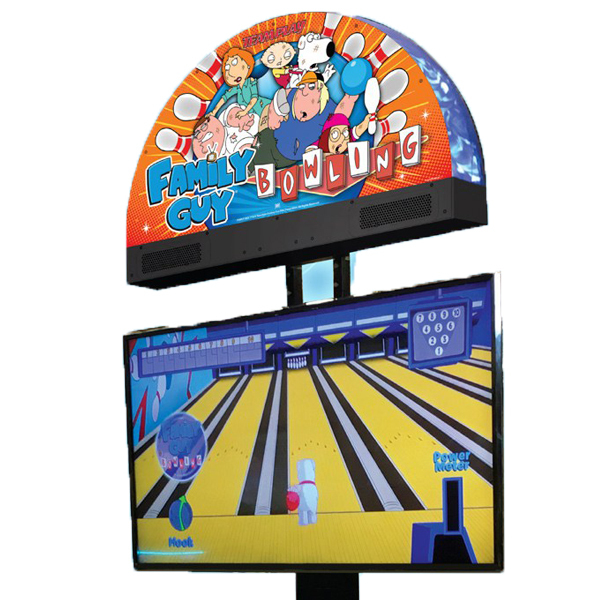 Standard Marquees available for Home units. 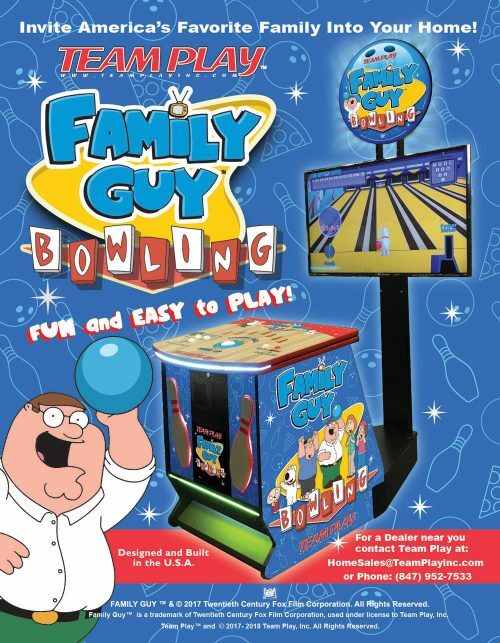 Suitable for all general audiences, with adult mode option for the grown up locations. 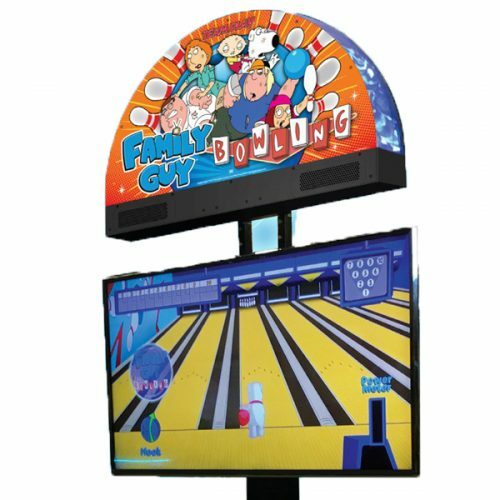 Video clips from the show play before and after games. 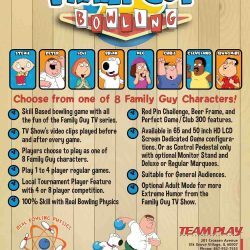 Local Tournament Features for 4-8 players.